Sand dunes are in my recent past and my near future! I had a lovely sojourn on Martha’s Vineyard earlier this month, and last week I was invited to the Calumet Artist Residency on the southernmost shore of Lake Michigan for two weeks—from the end of August through Labor Day weekend. It’s in Miller Beach in the Indiana Dunes National Lakeshore. Nelson Algren bought a cottage there in 1950 with the proceeds from selling the film rights for his novel The Man With a Golden Arm. 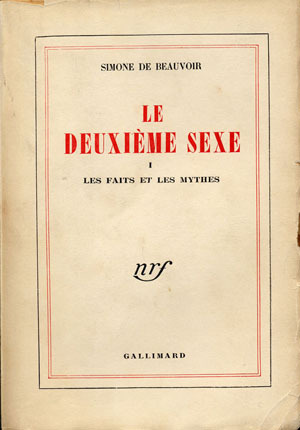 Supposedly, Simone de Beauvoir created a bit of stir by sunbathing naked in his yard. With the push to get “Sweet Tooth” done in time for last week’s performance with Tellin’ Tales (hi, Tekki! ), I’m closer than ever to finishing this book. Friends, I’m going to do it in those two weeks! I pictured her below the waves where the water was gentle. I imagined she floated like a bright October leaf, unhurried, lazily seesawing in the current till at last she came to rest on the ocean floor. Her hair grew into delicate ropes of seaweed, her skin turned opalescent like the inside of a shell. She wore a necklace of coral, swam seal-like through shimmering clouds of fish and slept in an underwater cave with a nightlight of luminescent plankton. In my imagination she became mythic: The Saltwater Twin. She belongs to the sea, I thought. She knows things no one else knows. The Saltwater Twin didn’t start out as a mythical creature. She was an ordinary kid named Abby Mahoney, a sandy-haired, freckle-faced girl–that is, if she looked anything like her twin brother. I never met Abby. Her family lived on my cousins’ street–her twin brother, their youngest, was my age–but she was already gone by the time they moved in. Abby drowned in the Atlantic when we were three, leaving her brother, leaving all of us behind. Abby had been Tommy’s twin, but the Saltwater Twin was mine–and she gave me a way to escape. It feels poetic to set out to finish a book that begins underwater whilst tucked into a cottage on the shore of what Algren called a “secondhand sea.” Saltwater, no, but sand and sky and stones to skip. And my grizzled pooch gets to come along to sniff the beachy scents! I can’t think of a better way to say goodbye to summer 2014. I’m all tingly with excitement. You really, truly are going to finish this book. And I can’t wait to read it. Perfect ! Bookends to summer. I am thrilled for you and to have Levi with you It’s wonderful and marvelous and all the good things you have coming! I can’t wait to read this book! I’m going to buy it in hardcover and on Kindle. Levi is grizzled? Yes, he’s an elder statesman now. 12 going on 13!